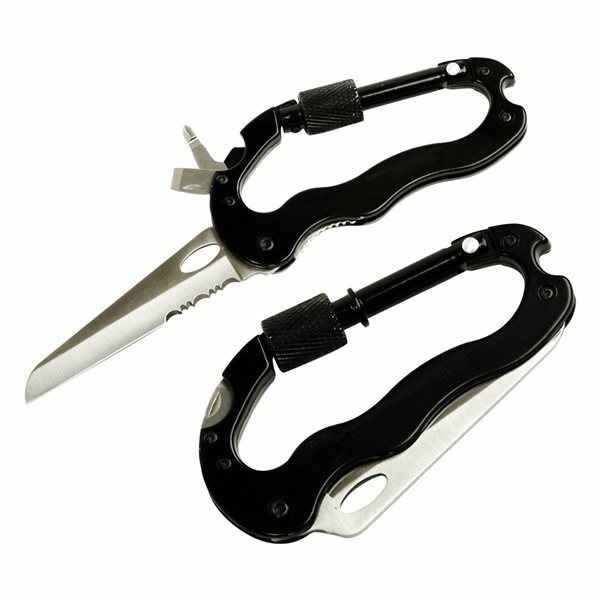 Combination straight and serrated blade locks securely. Ideal for camping, fishing, hunting and hiking. Includes slide-lock blade, screw latch, Phillips & flathead screwdrivers. Overall a great return on our investment. this is a very decent product for the price. these products were nice and met our needs They'll be well accepted. Was the best team spirit builder ever! Thanks!